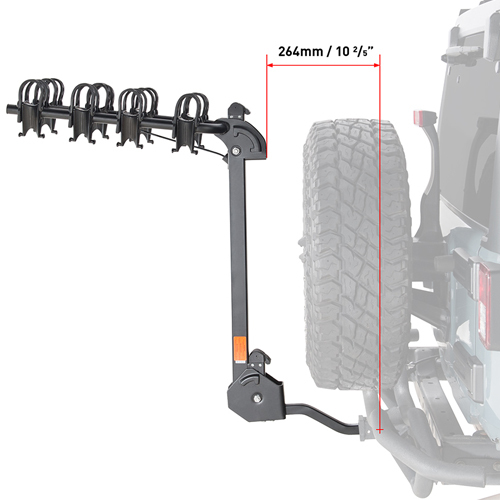 Rear spare tire clearance - 264mm / 10.39"
Carry up to 132 lbs max. 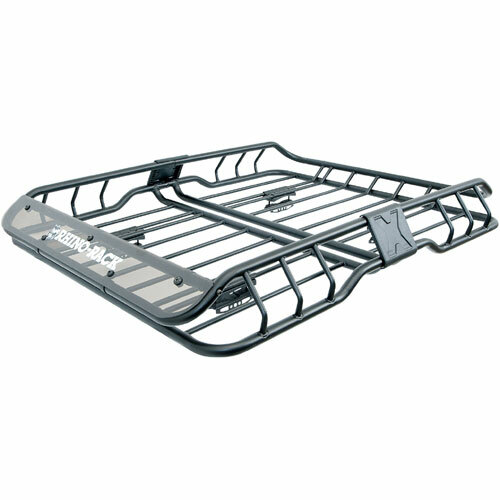 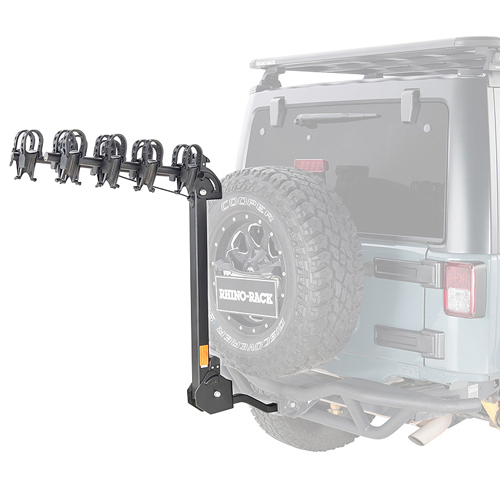 The Rhino-Rack rbc051 Cruiser 4 Bike Hitch Mounted Bicycle Rack is designed and constructed with heavy-duty, powder coated steel for increased rust resistance and durability. 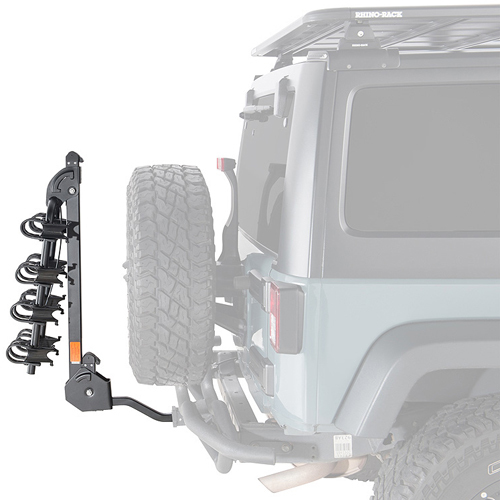 Rhino-Rack has engineered this bike rack to fit both 1.25" and 2" receiver hitches. 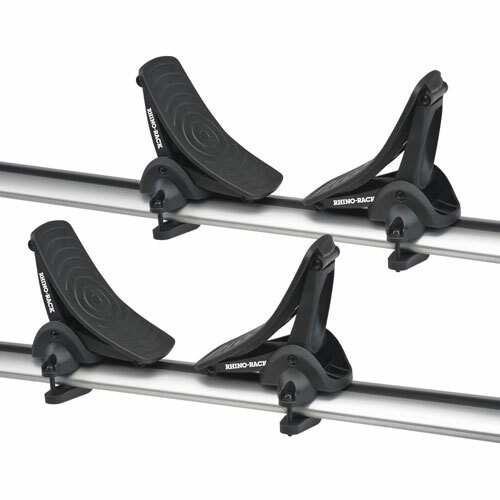 The UV Stabilized frame friendly adjustable bike cradles are designed to fit a wide range of bike frames and sizes. 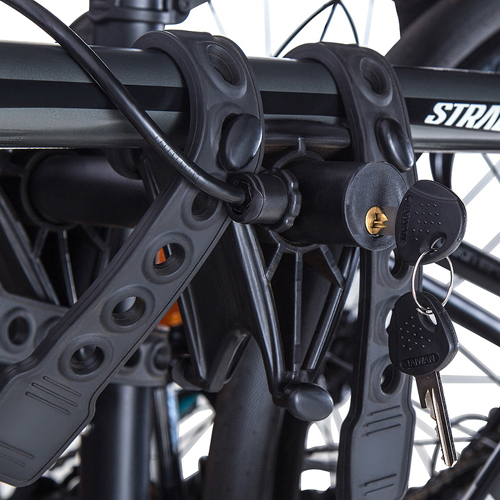 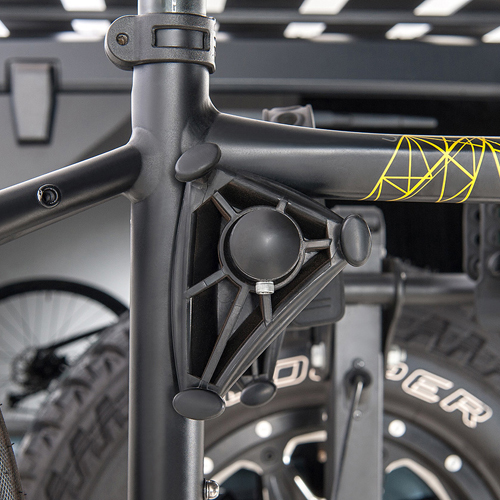 The upper cam lever allows the bike arms to be conveniently folded down when not in use - reducing the rear profile of the bike rack. 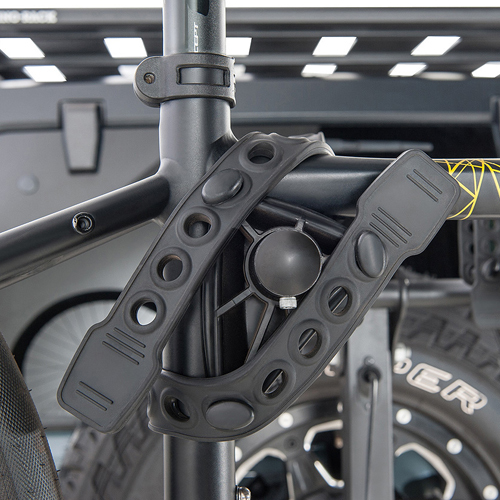 For easy access to the rear of your vehicle, simply remove your bikes, pull the lower cam lever and tilt the rack away from the vehicle to about a 45 degree angle. 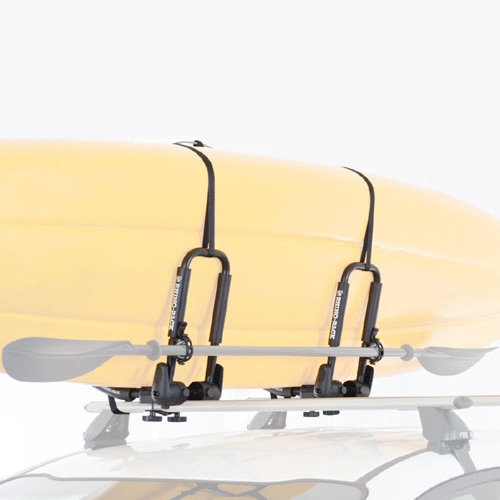 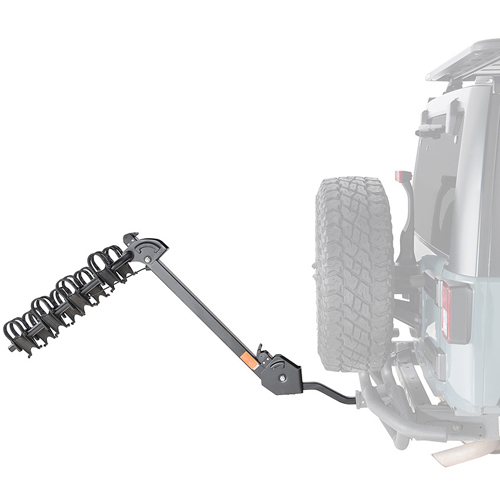 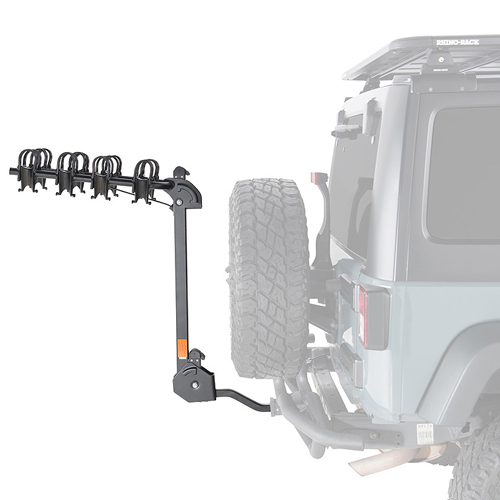 The Rhino-Rack Cruiser works great for vehicles with a rear mounted spare tire - the Cruiser has 264mm of clearance, which will even accommodate most over-sized tires. 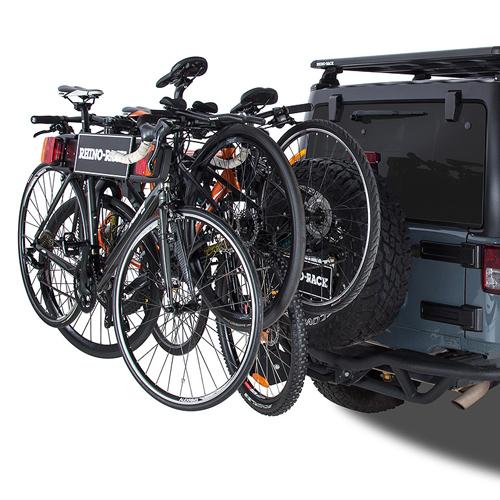 The Rhino-Rack Cruiser 4 bike carrier includes a 8mm integrated locking cable to secure and lock the bikes to the bike rack.